« Come with us as we travel…..
By way of interduction, this trip will consist of multiple locations in Israel, a few cities and regions in Spain, and some time with the mountains in Switzerland. Israel will cover biblically relevant sights and artifacts. In Spain we’ll cover sights and places covering that countries history from the later part of the Dark ages, up through the time of Columbus and the Spanish Civil War. In Switzerland, we’ll try to capture the beauty of the Swiss Alps, and bring them to you. So if you’re not interested in one part of the trip, check back in a day or two as the content will change. 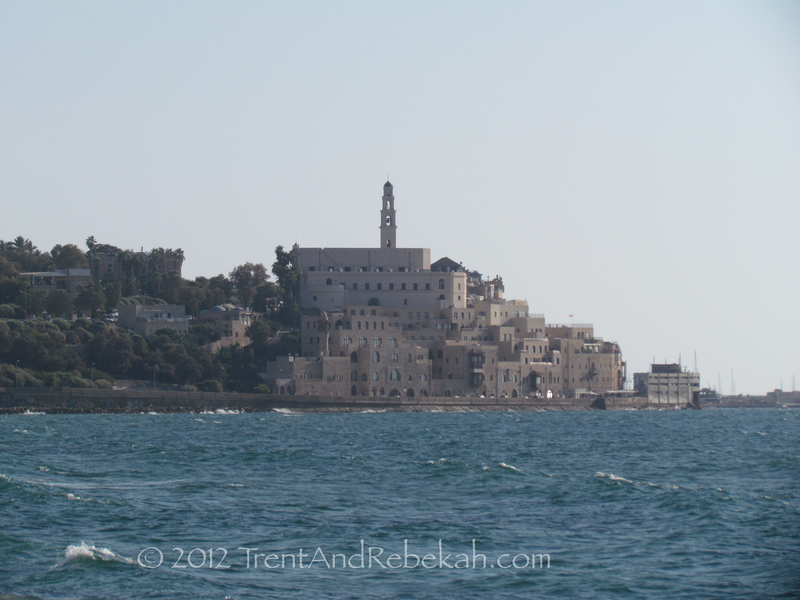 Joppa is a city mentioned a handful of times throughout the Bible. A few notable ones include Jonah 1:3 with Jonah fleeing from Nineveh; Acts 9&10 with Cornelius being taught by Peter and Cornelius sending for Peter; who was in Joppa; and the disciples sending for Peter when he was at Joppa, when Dorcas/Tabitha had died. In Bible times, Joppa served as a port to Jerusalem and was used to bring in cedars of Lebanon to the Temple’s construction and reconstruction (2 Chron 2:16, Ezra 3:7). As many popular sites like this, what you see today has been added to or modified over the years. Here is a picture of what the Joppa port area looks like today, when you approach it from the north. 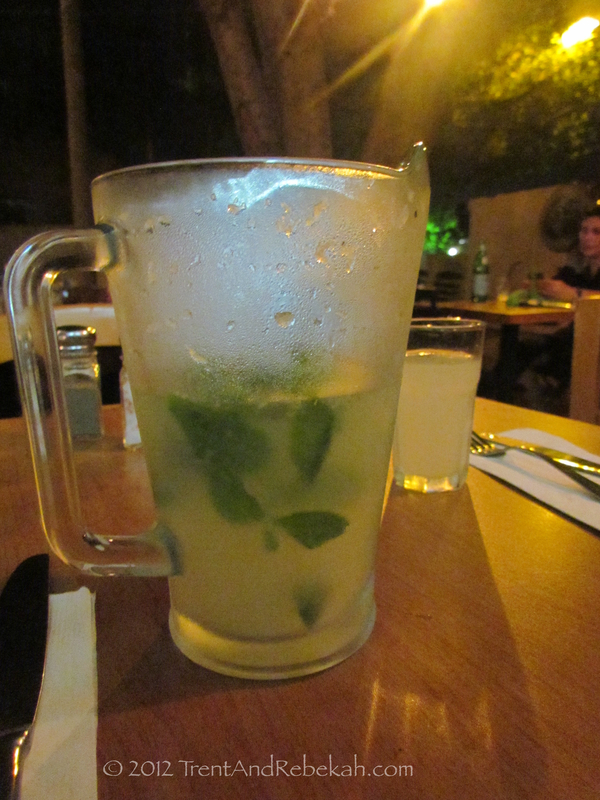 Not historically relevant, but as a side note to file away under the “Culture and Food” category, tonight, after exploring Joppa (here on Israel time) we discovered “Mint Lemonade Tea.” Your basic tasty lemonade, but served with mint tea leaves mixed in. If you are not a “mint” person, don’t try it, but if it makes you curious–which probably means you are ok with mint–give it a try. Maybe this has existed in the States and we’re just behind the curve? This entry was posted on September 4, 2012 at 3:52 pm and is filed under Ancient History, Biblical Site, Whimsy. You can follow any responses to this entry through the RSS 2.0 feed. You can leave a response, or trackback from your own site. Joppa looks beautiful and the lemonade looks delicious! We put fresh mint leaves in our lemonade sometimes and enjoy it. Another great thing is 1/2 t. almond extract per 1/2 gallon of lemonade. The trip sounds wonderful — ending in Switzerland is brilliant!